Ballet Flow is Holmes Place's brand new 45 minute class that will amaze you! It combines elements of classical ballet dance with modern sports movements. 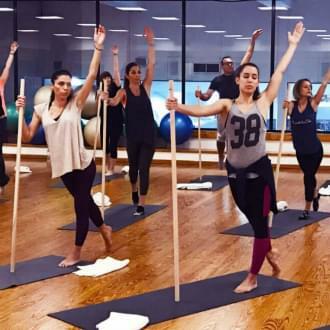 The introduction to the program includes a series of stretching exercises that will then lead you to more demanding movements, positions and poses which will improve your strength, flexibility and stamina, no matter what your fitness level is! The music and the movements will create an unforgettable experience full of emotions! It seems that Zumba is here to stay, as about 15 million people are attending this class in more than 200,000 locations and 185 countries. It is not just a phenomenon, but pure love! It's the ideal dance class that incorporates hip-hop, samba, salsa, merengue, mambo and Bollywood dance moves. Just dance! With Flystick you will discover how effective the use of a stick can be in maximizing the range of different movements, relieving spinal pain, restoring spine mobility and synchronizing muscular splincing through different breathing techniques. The exercises are performed both standing and seated and will offer you flexibility, perfectly combined with increasing strength while also improving joint mobility. The stick is used in such a way that it often makes you feel as if you are "flying". Holmes Place gives you the opportunity to take your training outdoors! 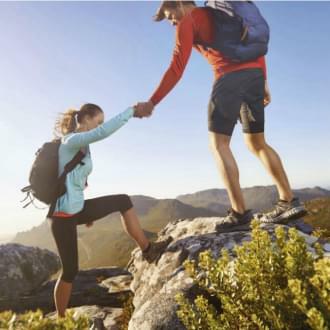 Fresh air will revitalise you and outdoor exercise will offer you extra energy and wellness! Experience Hiking with Holmes Place's team: If you want to take a short break from your daily routine, come with us to enjoy the tranquility of nature, through green hiking trails and routes in Parnitha, Hymettus or Lycabettus. We know that fitting fitness into your busy schedule is a challenge. That's why we have created Xpress classes. These innovative fitness programs offer all the benefits of small group training with the guidance of a qualified Trainer and all the fun of a group class in a condensed format, designed to fit into your busy routine. Experience ABS Xpress with strength training exercises for your abs and back, 100% effective! Stretching is a vital part of training as it eases body fatigue. Stretching under the guidance of our experienced Trainers will offer you a unique sense relief! 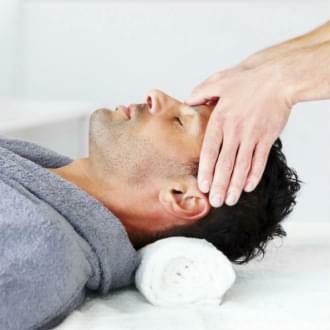 Enjoy the ancient technique of Indian head massage, also known as "champissage", which has been around for 4,000 years. It relieves shoulder, back, neck, head and face fatigue and includes the specialized “raindrop” technique that soothes and releases the tension stored in your body and spirit. If Happier Than Yesterday is your choice, we are here to inspire you and give you the motivation you need to start a brand new fitness journey* towards your personal renewal, in the best possible way. Do something good for yourself today and feel better than yesterday! *The fitness journey of your choice and all the free trial programs it includes, can be activated only once, depending on availability and after making an appointment, and is valid for 2 weeks after sending your participation form. This offer applies ONLY TO NON-MEMBERS of Holmes Place Clubs.